Origins Matter is an accelerated “boot camp” online program that surveys the basics of biblical creation apologetics. It combines online reading lessons with viewing educational DVDs to unpack and digest many relevant Biblical and scientific truths about origins. The program is not just academic; after a fast tour of the “big picture,” you are given a set of personal challenges to apply these important truths to your own life (and the lives of others). The Origins Matter Certificate program contains two levels. Each level is designed to be completed within approximately five weeks. 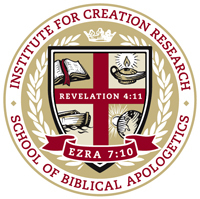 All ICR courses are web-based and designed to be completed online. Course materials consist of study texts (online), DVDs, and tests. Grades are emailed to the students after each exam. For a complete description of the Origins Matter Certificate Program, see our program catalog.